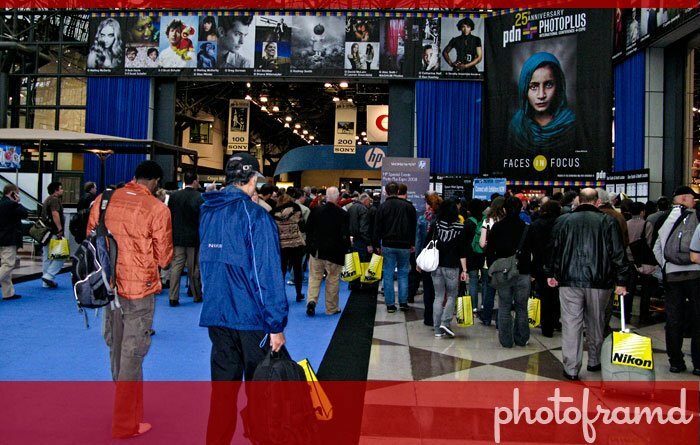 Pop Quiz — Which manufacturer of overpriced software used by virtually every photographer and graphic artist will NOT be exhibiting at the largest photographic and digital imaging trade show in the US? If you read the headline, you already know the answer! With October 22 quickly approaching, I wanted to plan out my week to be sure I had enough time at the show. I went though the the Exhibitor list and Floor Plan noting the booths to visit. By the end, I realized that Adobe was not listed? At first, I thought this was an error, so I called the PhotoPlus registration line. Adobe will be speaking at the show but NOT exhibiting! I also confirmed this with the Sales Manager for the show. Ever since I started attending PhotoPlus, Adobe has been a large presence at the show. In fact, many times, their trade show booth was as big (or bigger) than Canon and Nikon. Adobe has always had a roster of well-known authors speaking at their booth, talking about how to use their software under real world circumstances. But, for the past two years, Adobe has devoted this prime exposure to Lightroom. Each speaker suddenly became a shill explaining how indispensable Lightroom was for “workflow”. Last year when Adobe launched their new CS4 Suites, they wasted the mini-theater space within their booth pushing Lightroom while CS4 was relegated to a few computers at the back of their booth. Worse yet, the Adobe reps at these computers were not familiar enough with the software to answer such basic questions as “what’s new in CS4?”. Maybe that’s why sales are down Adobe? Personally, I refuse to purchase Lightroom. It is essentially a deluxe version of Bridge which is already part of all CS4 Suites. Considering Adobe increased the upgrade cost of their Suites with CS4, they should have bundled it with the suites. Did you realize that Lightroom is not even included in their Master Collection? So, no Adobe booth this year. Judging by the Floor Plan, it seems like PhotoPlus will only be half of the Javit’s floor. I will post my report next week.